The Lombard Park District is able to provide athletic leagues to the community because of our volunteer coaches and their assistants. Each year, we recognize and award a Coach of the Year for each sport and season. We would like to take the opportunity to thank all of our coaches as well as the Coaches of the Year. Tim is always one of the most requested coaches by players due to his passion for sport, learning, and keeping kids active. This year he coached in our spring softball league as well as our fall softball league. Besides softball, Tim also coaches basketball and has coached soccer for the Park District. He has been coaching for the Park District for four years. Tim grew up in Lombard and has been living here with his wife since 2002. When he is not coaching he loves watching his daughter participate in her other activities, spending time with his family and staying active. Tim also plays baseball in the summer and fall in our Over 30 League as well as basketball during the winter. His favorite aspect of coaching is having the opportunity to be part of his daughter’s experiences! He loves team sports, competition, and being on the field working with the kids teaching different fundamentals. He finds great satisfaction in watching his players develop their skills, become good teammates, and continue playing the sport in future years. Tim’s most memorable experience this year was in the All Star game when his daughter hit a ball over the left field’s head to the fence. It cleared the bases. It was wonderful to see all the batting practice, flips, tee work and other hand/eye hitting drills paying off. His advice for other coaches is to keep it simple and fun, don’t be afraid to ask for help from parents, and utilize the Park District clinics. Due to his great passion for the kids, softball, and the Park District we would like to honor him as the 2018 Youth Softball Coach of the Year. CJ is entering his third year as a coach in for the Lombard Park District. He resides in Addison and wanted to give back to the community as much as possible. He reached out to the Lombard Park District and we provided him the opportunity to coach. This year CJ coached in our winter league as well as one of our spring travel teams. In his free time CJ enjoys spending time with his wife, learning, reading, watching documentaries and sports, working out, traveling, and listening to music. He loves having the opportunity to help players grow not only in their basketball skills, but also in life. His favorite memory each year is seeing the positive changes from the beginning of the season to the end. CJ’s advice to coaches is to enjoy it; if you have fun, your team will, too. Involve everyone (if possible) in drills and huddles. Finally, understand that you don’t have to win all the time. There are many lessons to learn in each practice and game, so be open to personal growth, as it will help you become a better coach. Due to all of CJ’s hard work with our league and commitment to teaching kids we would like to present him as the 2018 Youth Basketball Coach of the Year. James has been coaching for the Park District for over 3 years. He has coached different age levels over the years and has done a great job with them all. This spring, James coached a PreK team named The Tigers. He has lived in Lombard for 6 years and is currently the Principal of Congress Park Elementary School in LaGrange. In his free time, James works on achieving his doctorate which entails a lot of reading of educational articles and books. He also tries to run as much as he can and enjoys to cook for his family. The fall season is upon us. 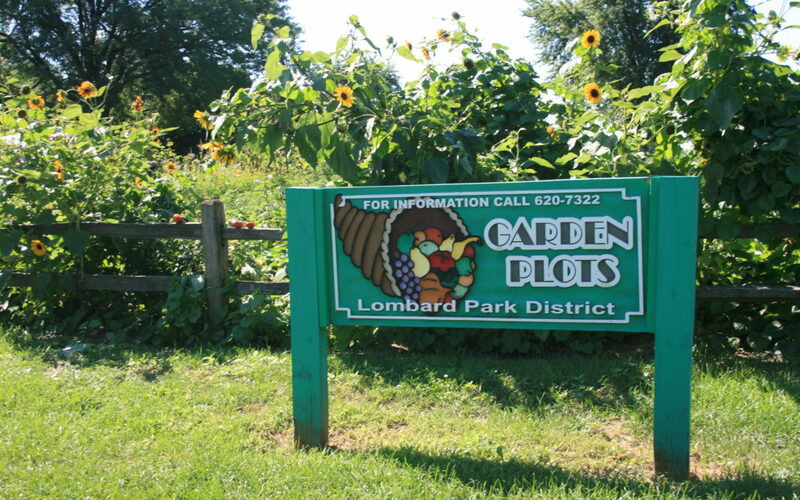 The Lombard Park District is asking for your cooperation in making sure all of your items are removed from your garden plot. The Park District will not be responsible for any plants or items left in the garden plots after Wednesday, October 31. On or after Friday, November 2, the garden plots will be roto-tilled for the winter. Thank you for participating in the garden plots this year. Information for renting in 2019 will be sent out to previous participants after the first of the year. 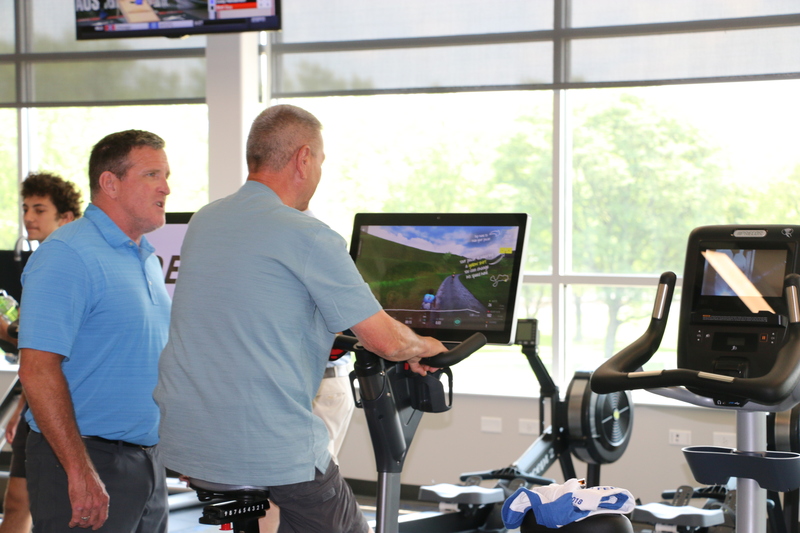 If you have any questions or would like to learn more about how to become a participant, please feel free to call Dave Littwin at: 630-953-2370. Throwing away used batteries can lead to toxins leaking and polluting the soil and water. 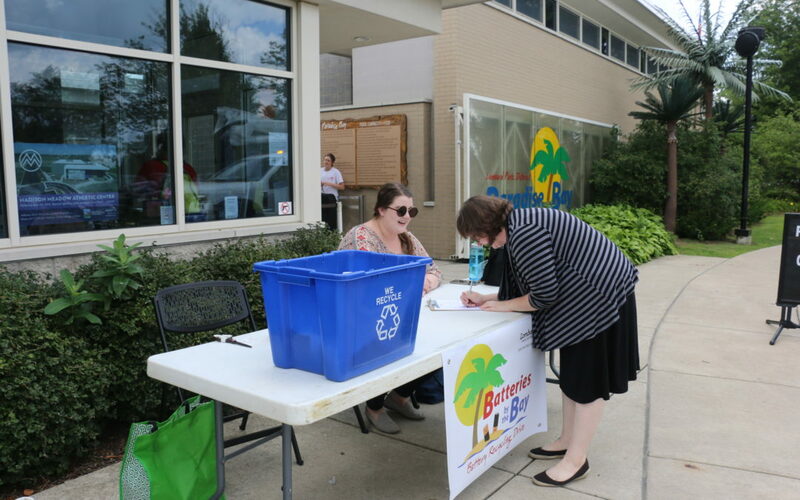 In an effort to keep Lombard and the surrounding environment clean, the District hosted a battery recycling drive at Paradise Bay Water Park on August 1st. Thanks to the help of everyone in the community, Batteries by the Bay was a success! Huge boxes of used batteries were dropped off at a designated recycling center so that they could be disposed of in an environmentally friendly way. While the District periodically hosts battery drives, there are other ways to properly dispose of hazardous items year round. Batteries Plus Bulbs will take your used batteries as well as used light bulbs. Batteries Plus Bulbs has many locations, including those in Bloomingdale, Villa Park, and Glen Ellyn. The Household Hazardous Waste Facility in Naperville will also take your used batteries, light bulbs, household cleaners, paint, pesticides, aerosol cans, and more. The Lombard Park District would like to thank everyone that participated in the event for doing their part to help the environment! 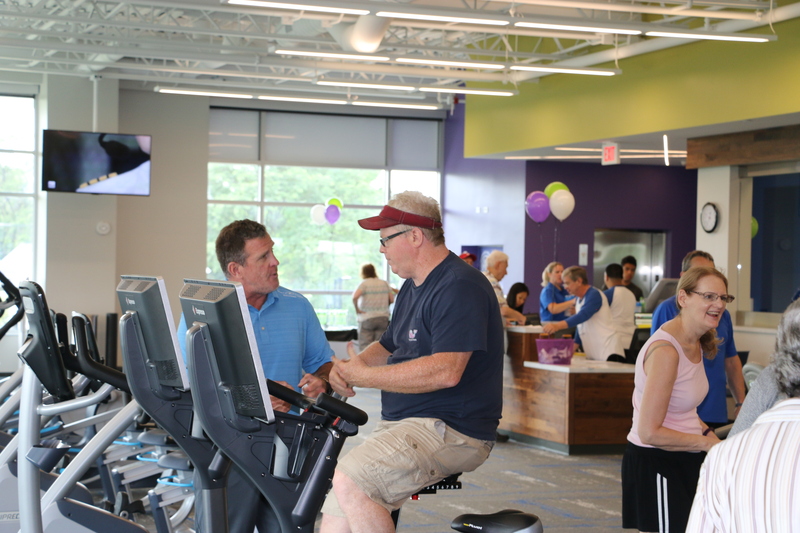 The Madison Meadow Athletic Center is Officially Open! 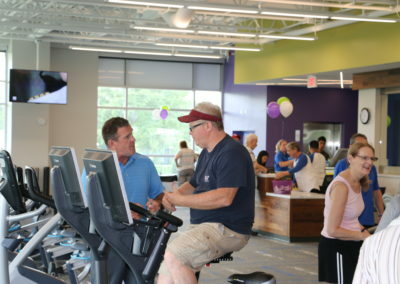 The Lombard Park District celebrated the grand opening of the new facility on June 30th. 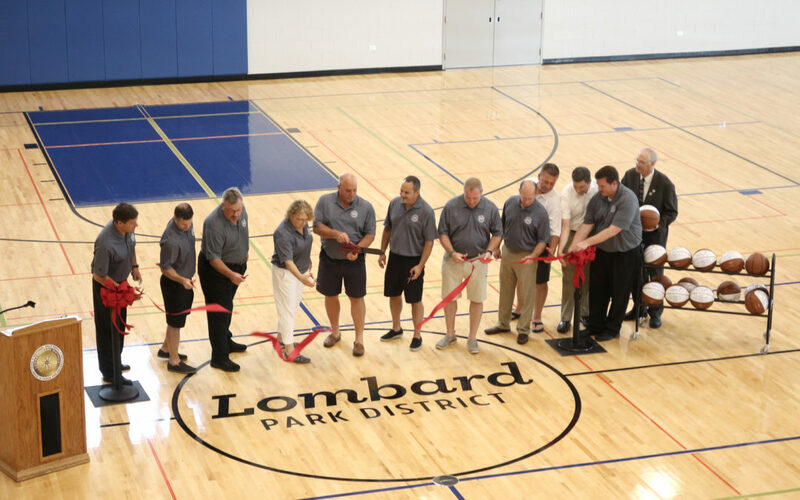 At the grand opening, members of the community, the Board of Park Commissioners, and Lombard Park District partners came out for the official ribbon cutting ceremony. 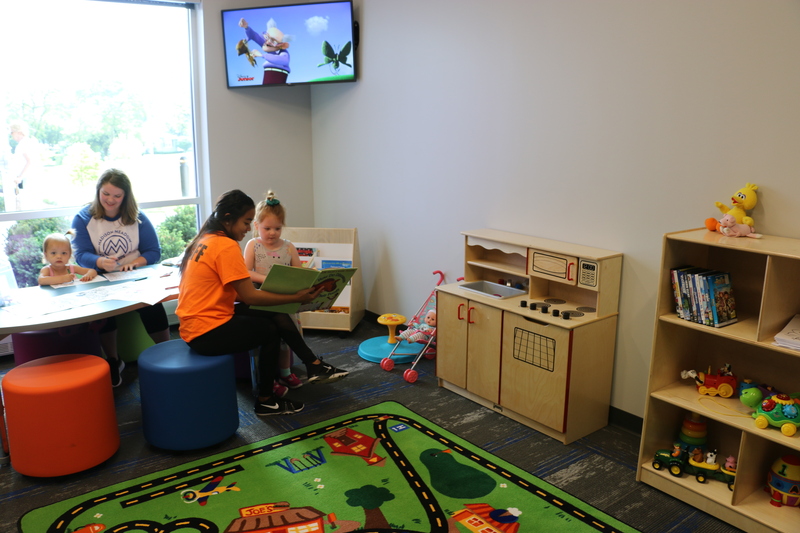 Following the ribbon cutting, there was an open house for the whole community from 11:00 am – 4:00 pm. 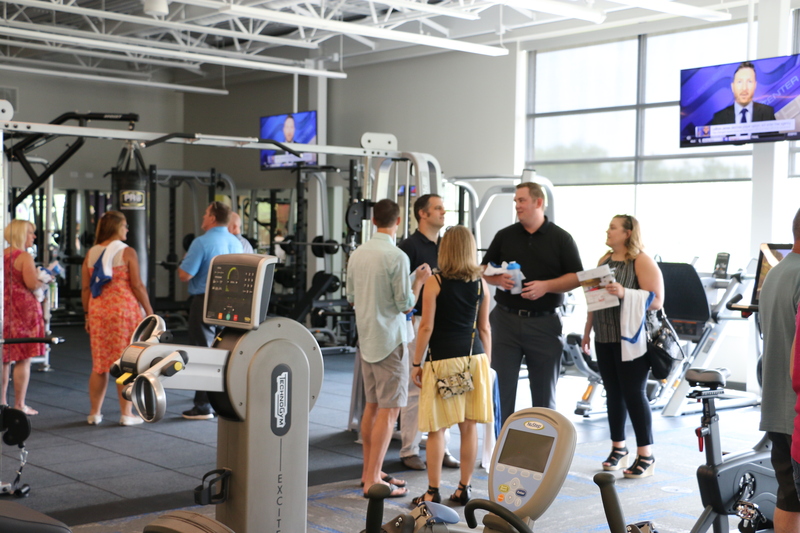 During the open house, families and individuals were able to tour the facility, test the new equipment, and sign up for memberships. 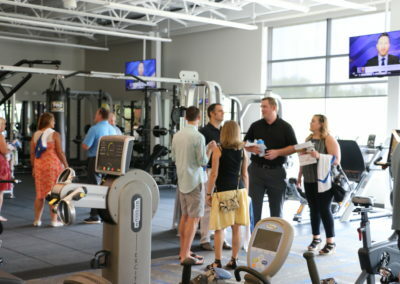 The facility offers many recreation opportunities to enjoy life, including: a fitness center, two studios with group fitness classes, two basketball courts, open gym, an on demand fitness system, a Selectorized weight circuit, free weights, an indoor track, cardio equipment with TV’s, and more. 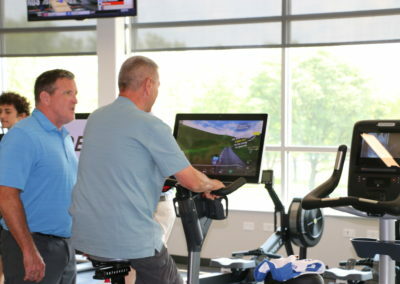 Memberships are offered for individual adults, couples, families, seniors, and youth. 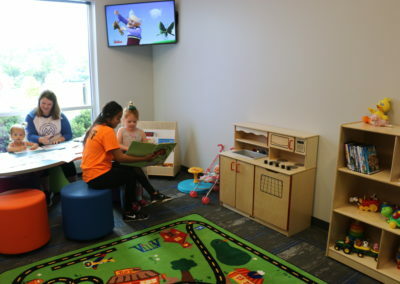 Babysitting services for children ages 3 months – 6 years are also available for members at no additional charge. Annual Memberships are still being offered at discounted special opening prices through July 31st, so be sure not to miss out! 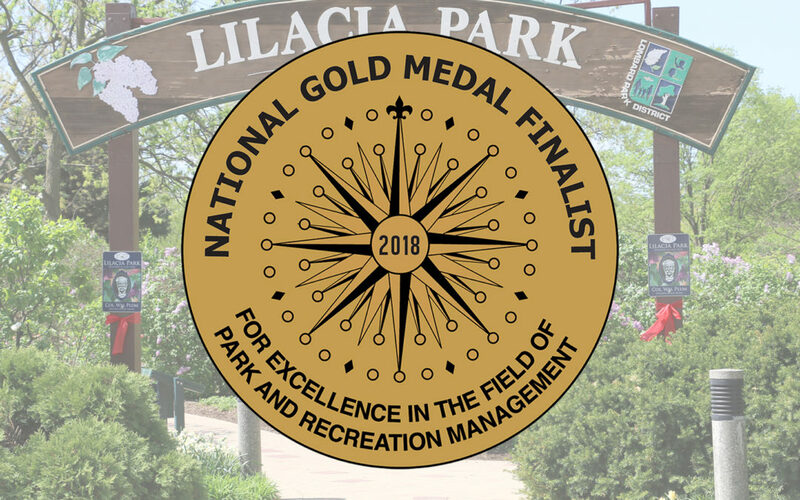 “The Gold Medal Award honors communities throughout the United States that demonstrate excellence in long-range planning, resource management and innovative approaches to delivering superb park and recreation services with fiscally sound business practices. The Gold Medal Award Program includes seven classes: five classes based upon population, one class for armed forces recreation and one class for state park systems in odd numbered years. At the beginning of each calendar year, agencies are invited to submit applications for consideration, with a deadline of mid-March. 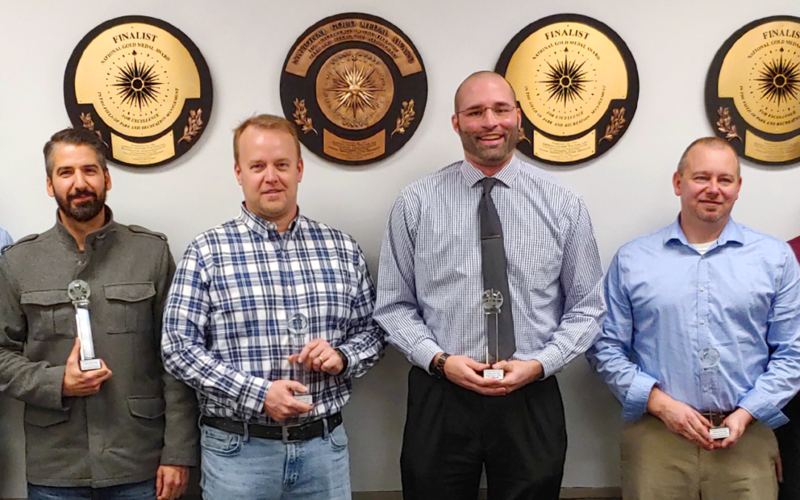 Finalists are announced at the end of April, and the Grand Award recipients are announced at the NRPA Annual Conference in the fall. Park and recreation agencies must complete a written application to be selected as a finalist and from there they must complete a short film reflecting their agency commitments for display on their website. 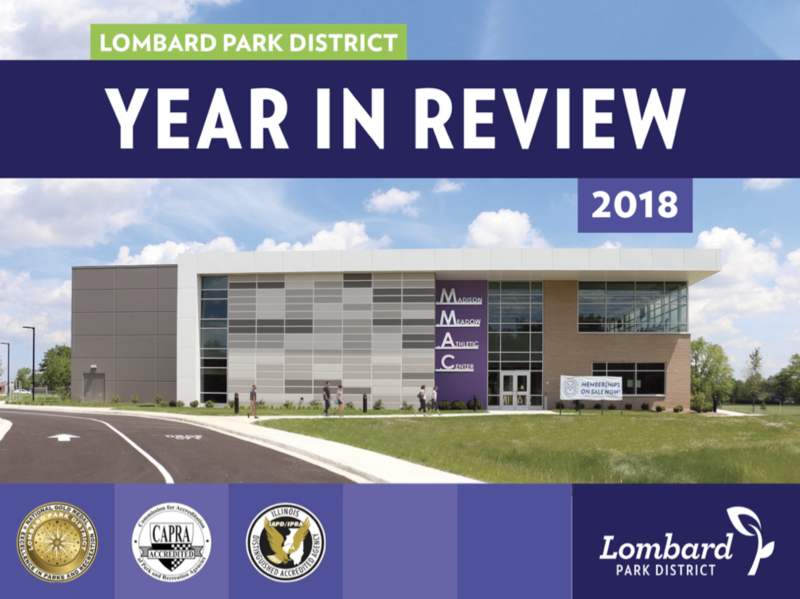 The Lombard Park District is honored to be a 2018 finalist and invites all members of the community to view the film at lombardparks.com, and share why Lombard is a great place to enjoy life. 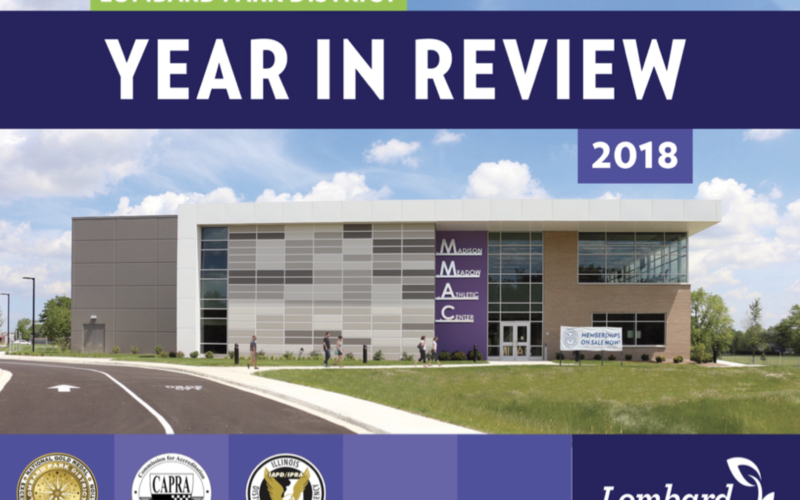 For more information, please feel free to contact the District at info@lombardparks.com or call 630–627–1281.